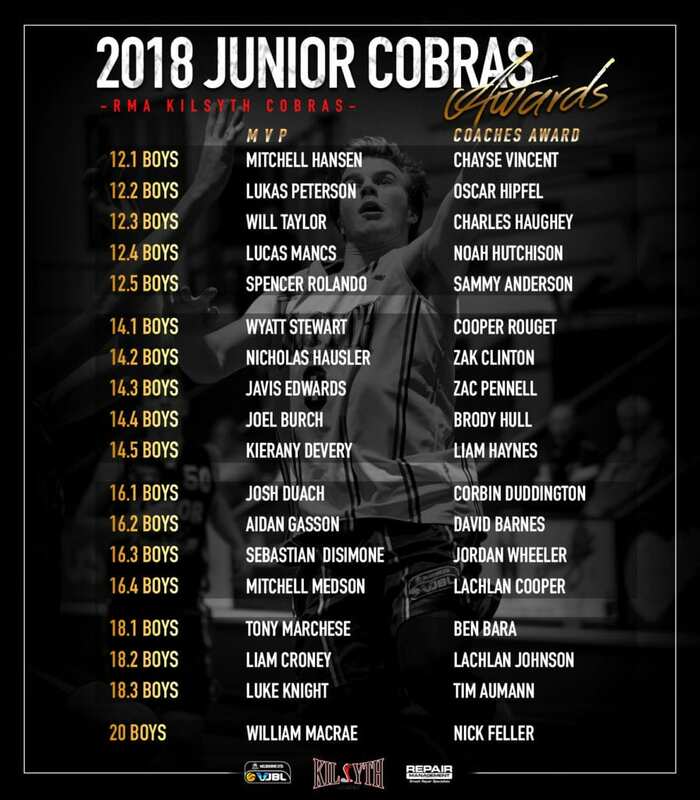 Our RMA Junior Cobras award winners for the 2018 MUVJBL season were announced last week at our annual Cobras Presentation Day. 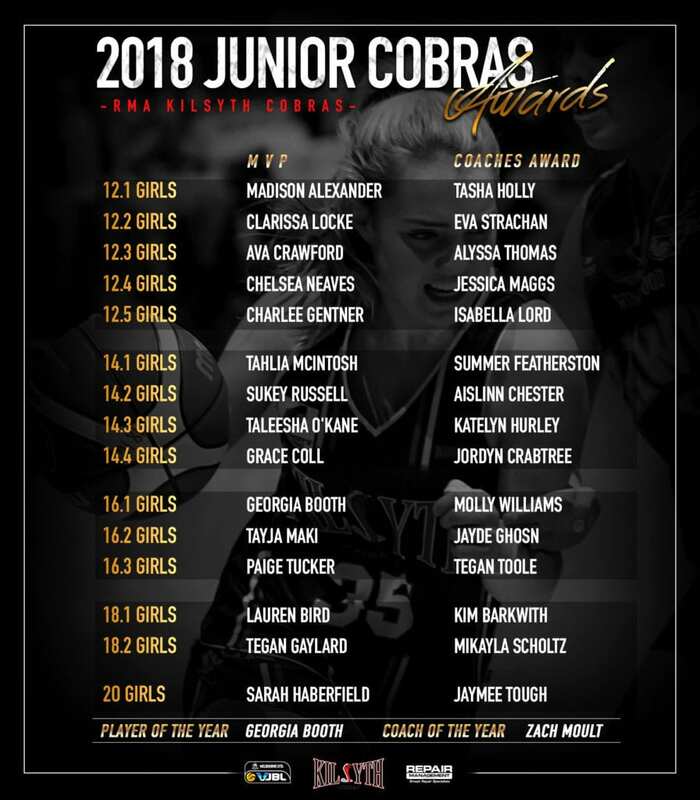 All 33 of our Under 12, U14, U16, U18 and U20 Boys and Girls teams announced their Most Valuable Player and Coaches Awards for the 2018 representative season, while a number of Under 18 and 20’s players were awarded for their long service to the Junior Cobras program. Lauren Bird, Erin Burgoyne, Nicole Dykes, Kiara Shae Ryan Bader, Ben Bara, Mitchell Douglas, Hamish MacDonald, Riley Spicer, Kimberley Barkwith and Isabella Clarke were recipients of 2018 Club Service Awards, while Georgia Booth (U16-1 Girls/2018 National Champion with Victoria Metro) was named the Junior Cobras Player of the Year and Zach Moult (U18-1 Boys) was named Coach of the Year.